The coastline of Southern Africa is the only place in the world where you can find the Cape fur seal (Arctocephalus pusillus pusillus). 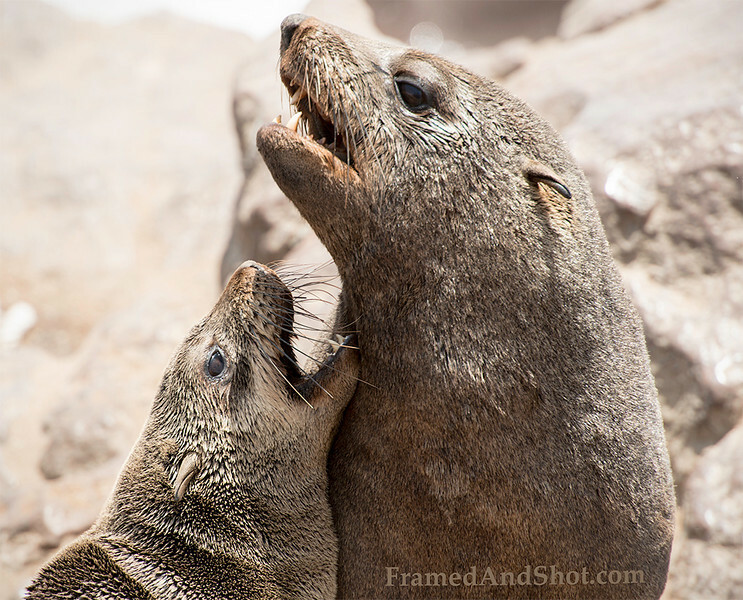 They fight, mate, reproduce and fish in the Cape Cross Seal Reserve, home to the largest breeding colony of these seals on the planet, with at times up to 210,000 seals present during November and December. Cape Cross is a small headland in the South Atlantic in Skeleton Coast, western Namibia.